Apostle Simbarashe Duncan and wife. ZVISHAVANE - United Family International Church (UFIC) pastor for Zvishavane has many testimonies of people who say he is casting demons over the radio. The congregants of the fast growing assembly said the manifestations of demons are happening during Apostle Simbarashe Duncan’s programme on YaFM called The Hour of Grace. Congregants who spoke to The Mirror said there is overwhelming response from the YaFM listeners. Some are getting deliverance while listening to the voice of the man of God on the radio, some are getting healed and some are standing amazed by the revelations and powerful teachings on the radio, said Petros Magada. The Programme which is done every Sunday by the Apostle and has presenters Gogo Beau and Chishamiso has a huge listernership. One of the listeners Marble Muchuchuti said she is amazed by the power of God that works through Apostle Duncan. She also said she has started successful projects on the blessings of the UFIC Pastor. Her husband has been promoted twice in a very short period of time they are living happily. "I want to thank God for using Pastor Duncan as a vessel, my life is now in order because of the advice I get from the man of God. He is indeed a humble man and even on radio you can tell that the man is very patient and explains the word of God in an amazing way. I always listen to his programme and now I go to UFIC," said Muchuchuti. At one of the sermons attended by The Mirror people gave testimonies of how their dreams of prosperity were coming true, businesses surging into profits, acquiring new cars and buying houses. The blessed congregants produced pictures of what they acquired in church for the benefit of those who are of little faith to see. Nyasha Mhazo, an elder at the church said that Pastor Duncan has become a household name in the Midlands Province. "Pastor Duncan has indeed become a household name in the Midlands Province. Many people know him because of the work of God he is doing in Zvishavane thereby saving many people. 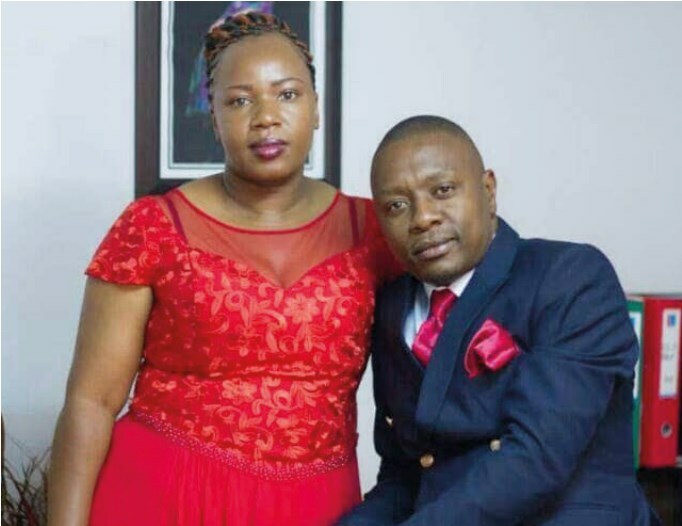 He is not doing this only to the church members but he is extending his hand to those who believe in the power of God that works through him," said Mhazo. Apostle Duncan said that he is only a vessel of God and he encourages people to stay focused in the things of God. "I remain a vessel of the Most High. I am equally amazed at the level of the manifestation of the power of God through a mortal being like myself. I urge all and sundry to stay focused and remain calm as we put our faith and trust in the Lord Jesus Christ," said Duncan.